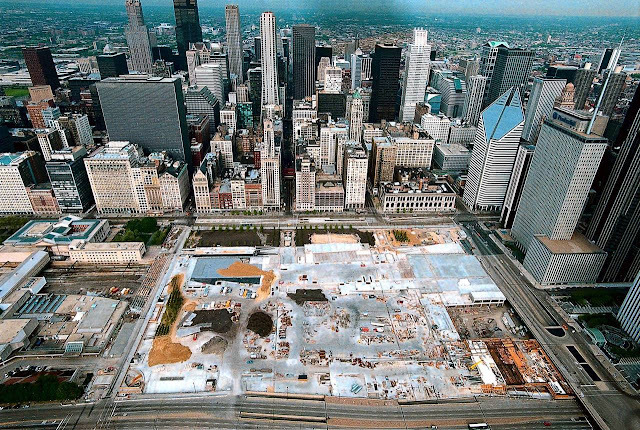 May 16, 2000 – The Chicago Tribune editorializes about cost overruns at Millennium Park. “Private-sector corporations generally prefer the design-build method of contracting for new facilities,” the editorial observes. “They hire a unified team of architects and builders that can deliver an agreed-to building for an agreed-to price. Then there’s the method Mayor Richard Daley is using on the Millennium Project . . . you might call it the design-as-you-build method.” At issue is a Frank Gehry-design that as originally proposed was supposed to cost 150 million dollars and which had by this time risen to $270 million. “And crews are still building the support structure,” the editorial sniped. “What happens when they start adding the fancy stuff?” In a stinging conclusion, the editorial asks, “And one last question for the planners: After you’ve made your last change and gotten your elegant little culture park just the way you like, where are the hoi polloi going to go for the Blues, Jazz, Gospel and Taste concerts that are too big for Millennium Park? Or is that just another small, hanging detail?” A space of over 15 years is probably time enough to judge whether the “little culture park” was worth the investment. Judging from the crowds at almost any time of the year, it feels as if the “small, hanging details” worked out. 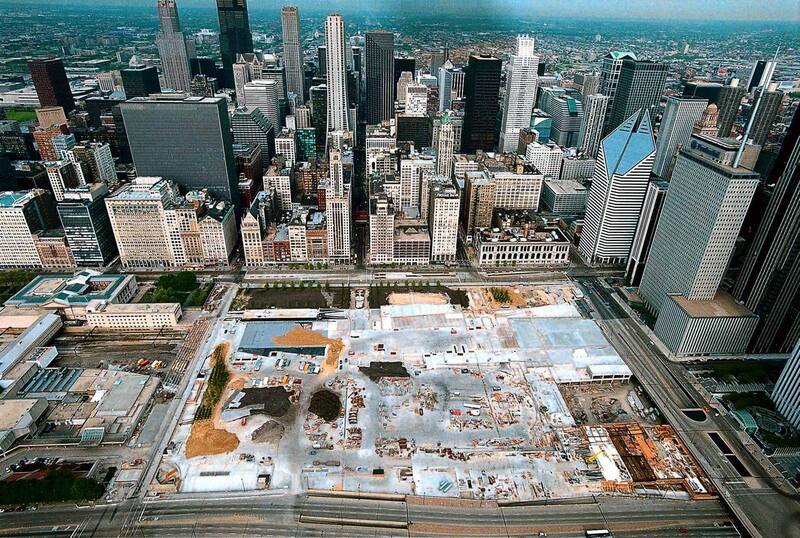 The photo above shows the park as it started to take shape in 2001.